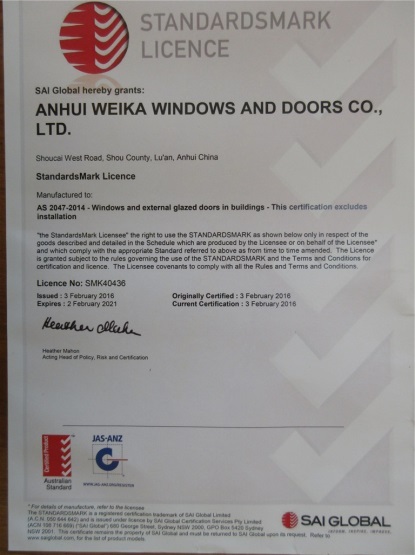 Company Overview - Anhui Weika Windows & Doors Co., Ltd.
7YRSAnhui Weika Windows & Doors Co., Ltd.
Anhui Weika Windows and Doors Co.,ltd is a comprehensive company specializing in UPVC and aluminum windows & doors designing, manufacturing and exporting.Nowadays, Weika has purchased many advanced equipment home and abroad. 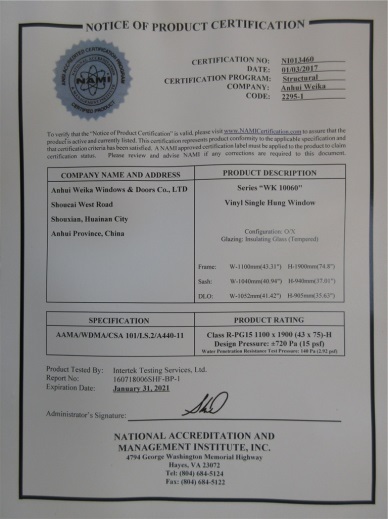 Our company formed a complete team with skillful designing, managing, producing and QC. 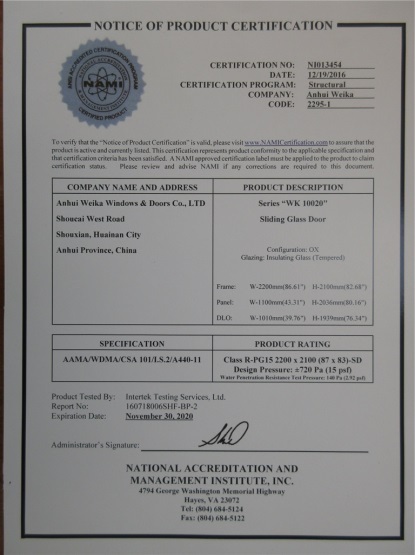 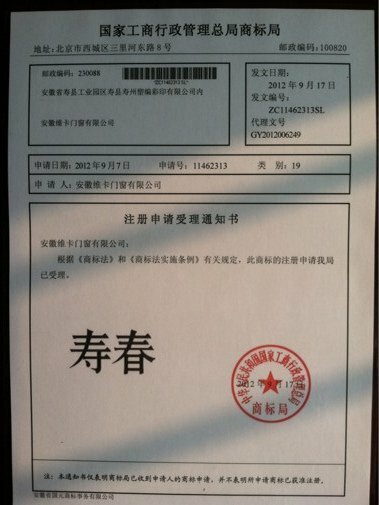 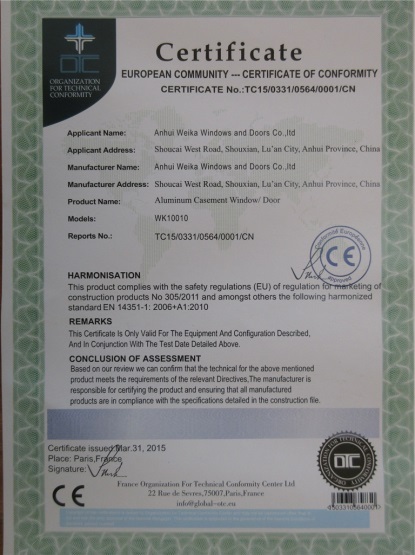 Our products has obtained many certifications like ISO9001, CE, TUV, AS2047, US AAMA, and Nigerian SON. 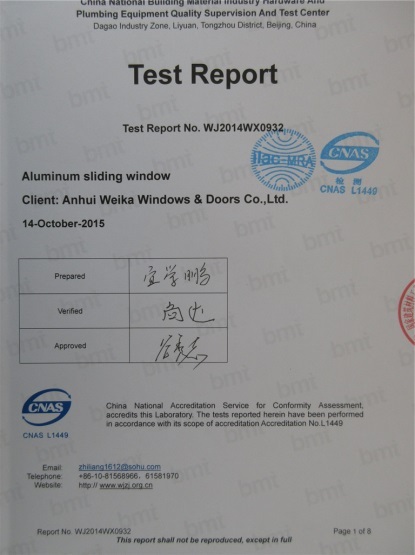 To strengthen the competitive advantage, also improve the client's local competition, Weika innovates new product with solo patent like 37 series and 58 series single sliding window. 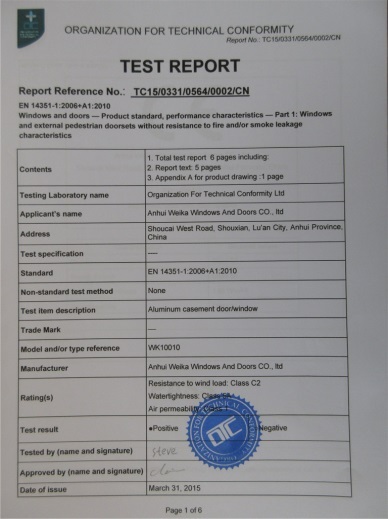 By now, the company occupies 25,000 square meters,production area 12,000 square meters, annual production capacity 300,000 square meters. 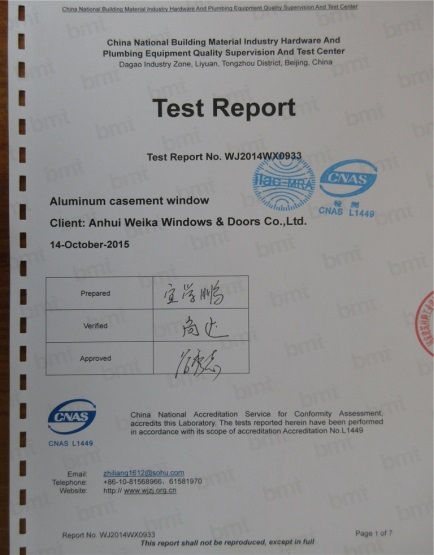 It has becomes the largest window exporter in east Asia. 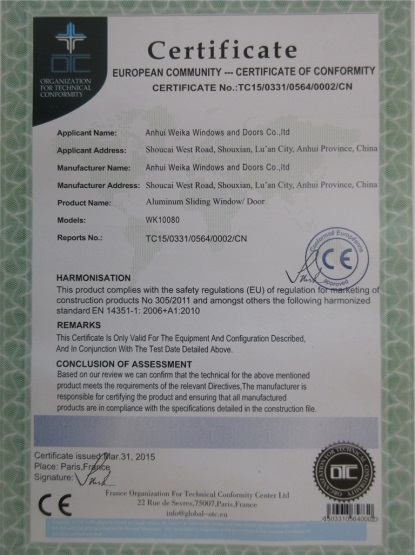 With the power of export independently, Weika has exported products to Panama, Nigeria, Chile, India, German, US, Spain, UK etc. 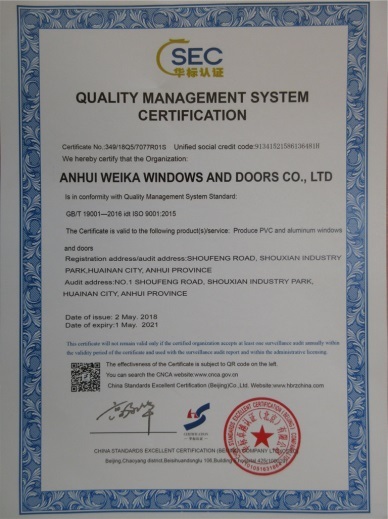 It is biggest window supplier in Panama market.Weika takes quality first as corporate philosophy, enhance professional windows and doors production base, target to be well-known brand. 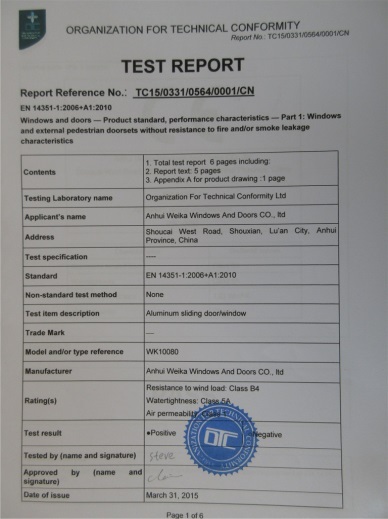 With first class technique, equipment, management and service, we will provide highly cost effective products and reliable after sell service to every client.